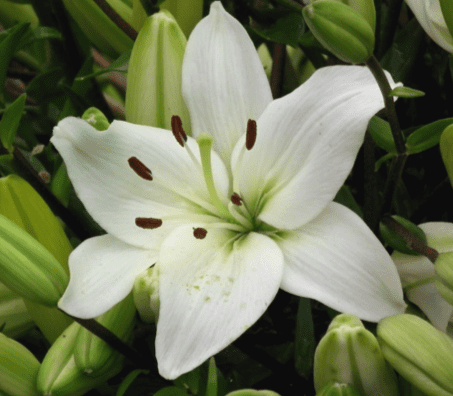 Without a doubt, the lily stands out in terms of beauty and fragrance, and just bursts with symbolism that makes it appropriate for every occasion. Amiability, purity, love, unity as well as transience: the lily represents them all. These majestic flowers have certainly had a long history, and amazingly, images of lilies were found in a villa in Crete dating back to 1580 BC. 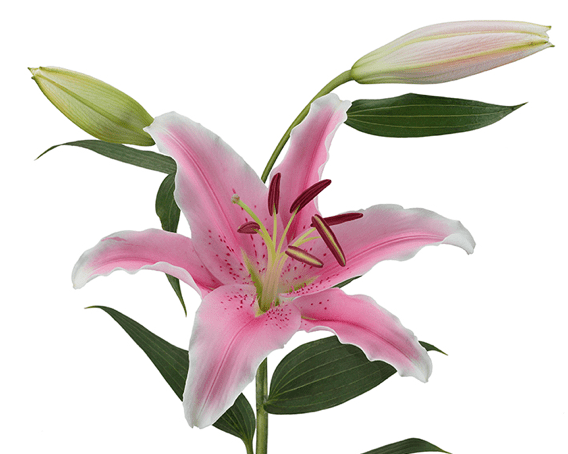 Today lilies are the May birth flower and represent the 30th wedding anniversary. Two of the most beautiful, and most similar lilies, are the Asiatic and the Oriental lilies, and these are often mistaken for each other. However, by paying attention to a few differentiating details, you will be able to tell these two apart with the ease of a professional! The Asiatic lily is smaller than the Oriental, with the open bloom averaging between 10 and 12cm, compared to the boastful 15 and 18cm of the Oriental lily. 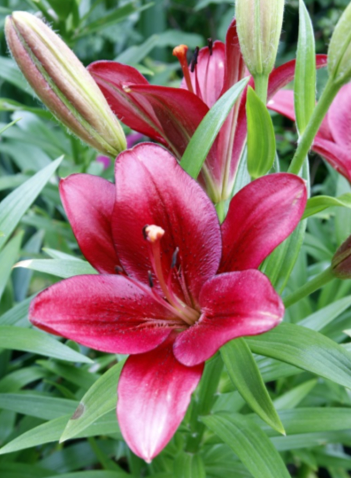 When the bud is closed, you can easily identify the Oriental by the longer, pointed tip where the petals meet, compared to other lilies, which have softer, rounded tips. Even when open the Orientals petals have sharper points, like stars. The gorgeous Asiatic lilies come in many beautiful vibrant colours, and the flowers take anywhere between 3 – 5 days to open, being fully open by day 7. The Oriental bloom in white and pink and take 7 – 9 days to open, being on full display on day 12. If you cant decide which lily to go for, create a striking arrangement with both, which will celebrate their uniqueness, while their opening times will complement each other so that you have a beautiful display of lilies for days! If you have a passion for floral creations and wish to learn more, visit www.jillmanson.co.za today to book one of her phenomenal courses.